An open, ascending, large shrub or small tree. Often with several slims a trunk if grown as a green. Produces pinnate leaves, each haveing 5 to 13 oblong-ovate to lance-shaped, toothed, bright green leaflets. 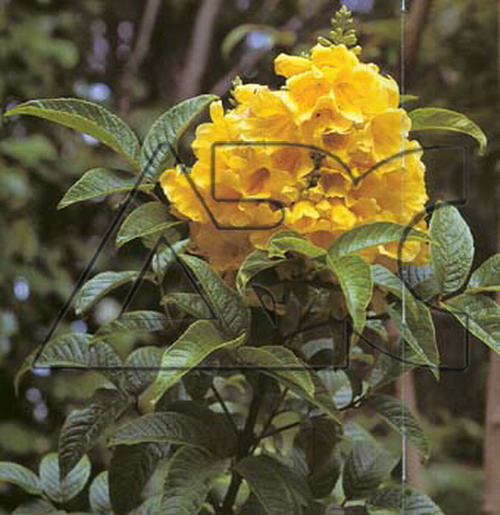 Bears funnel-shaped, bright yellow flowers in terminal racemes or panicles.